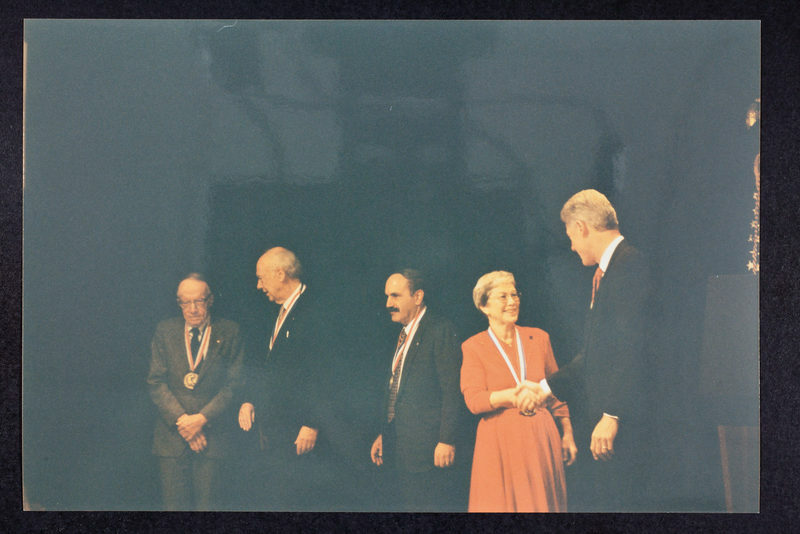 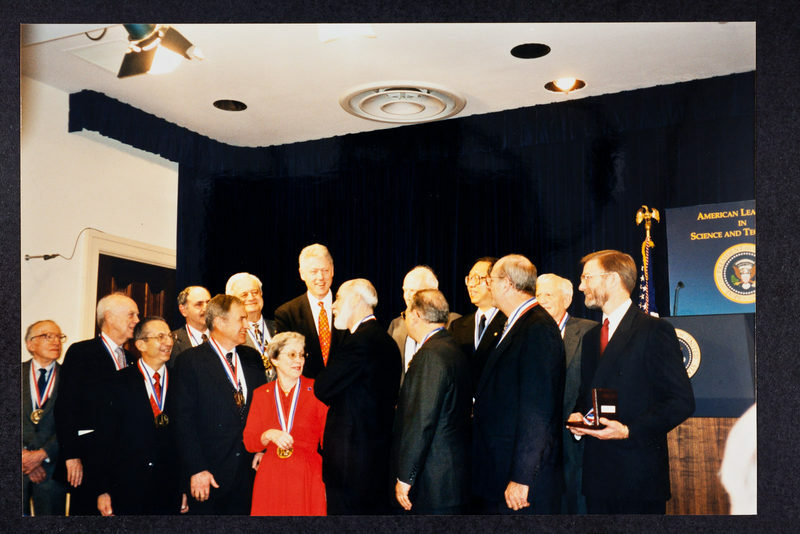 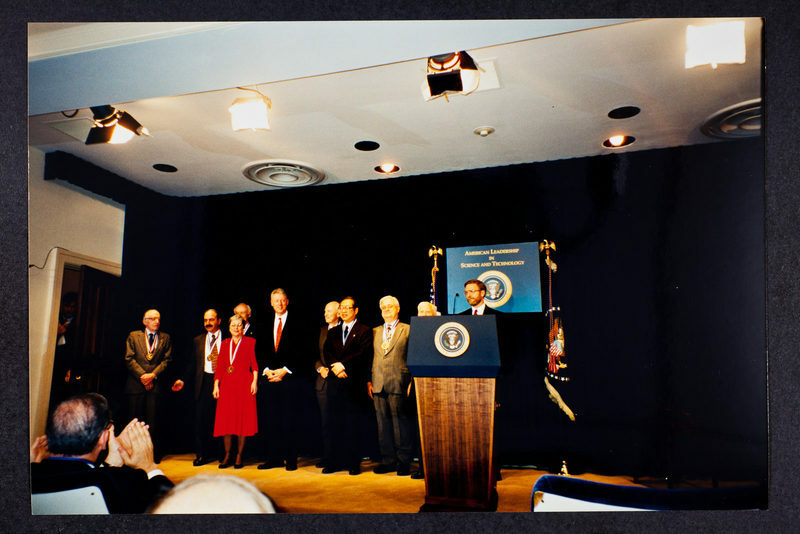 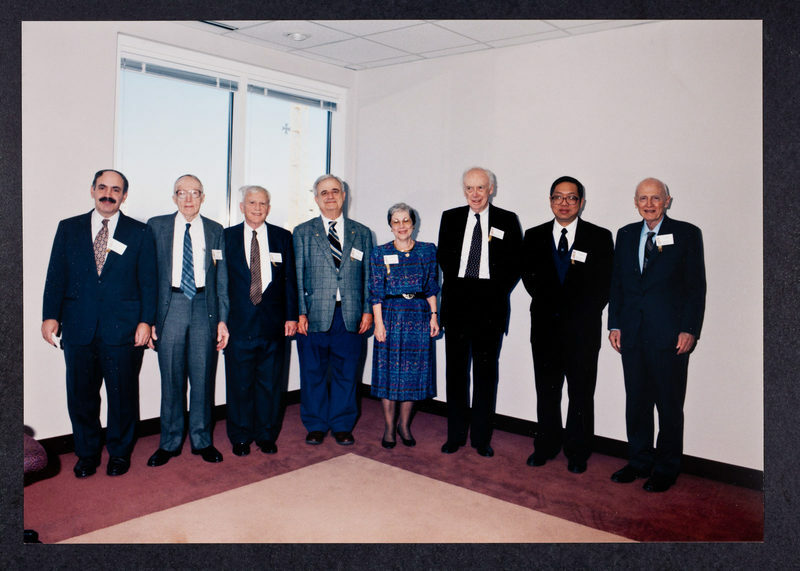 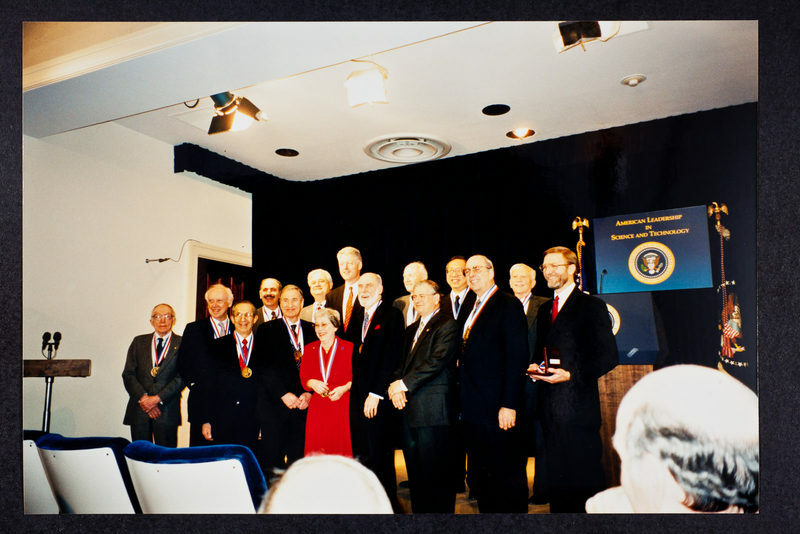 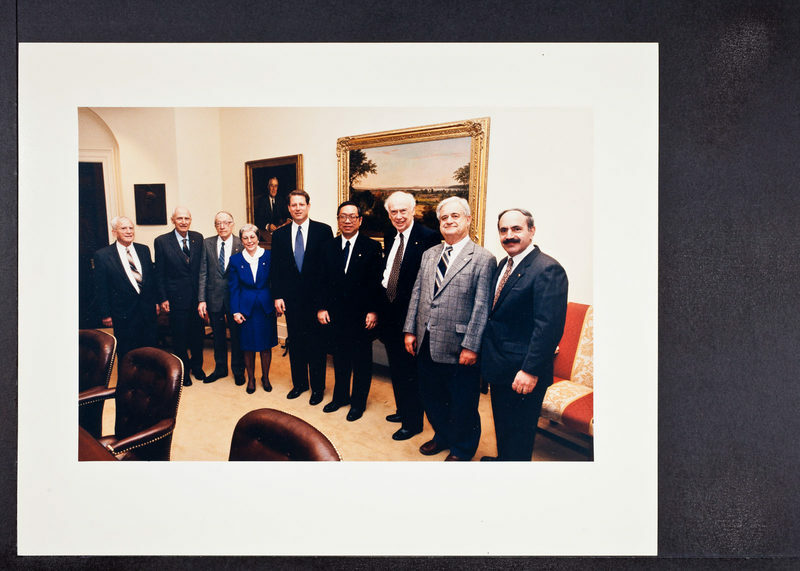 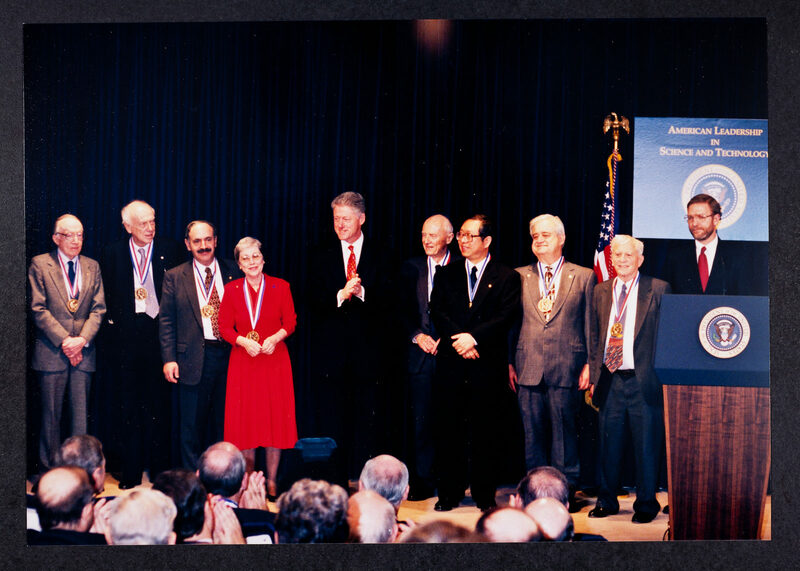 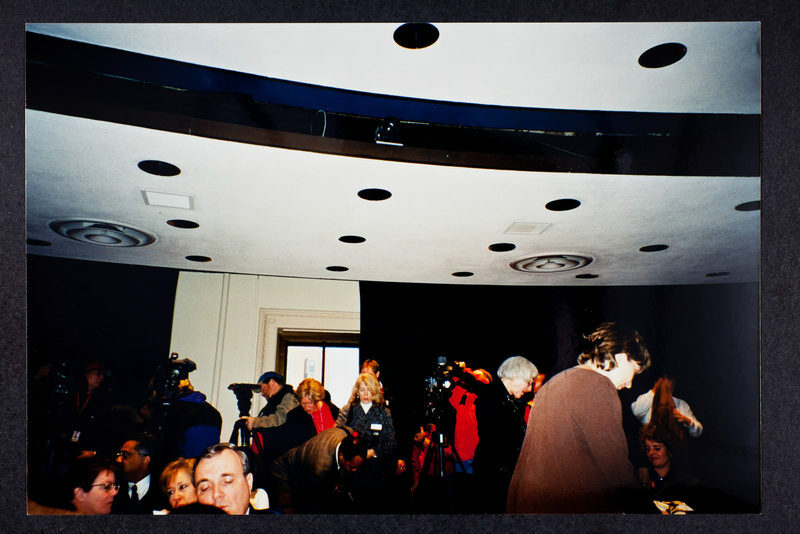 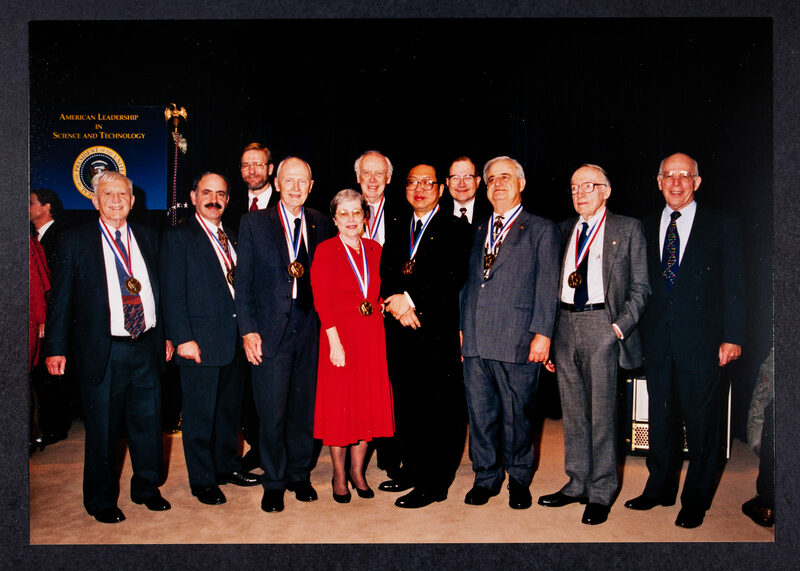 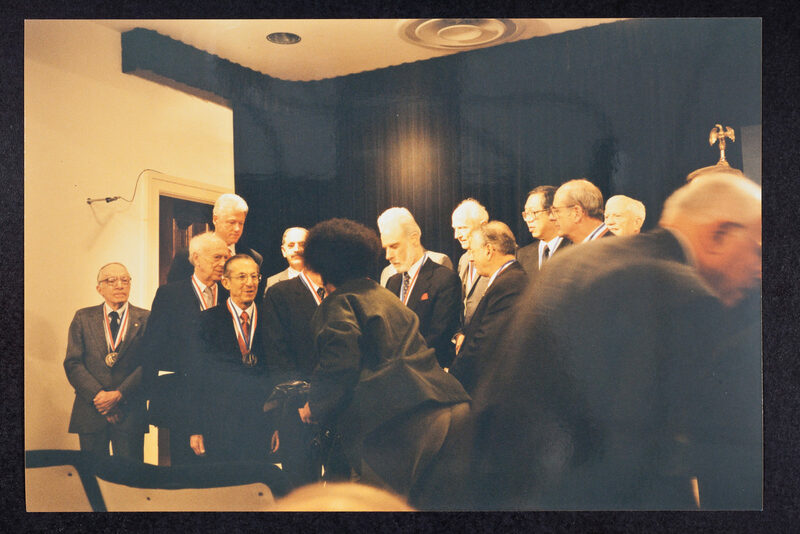 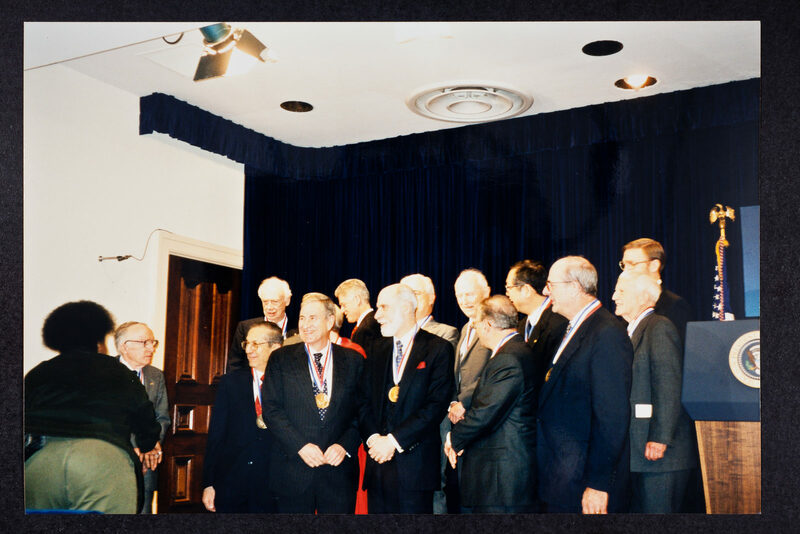 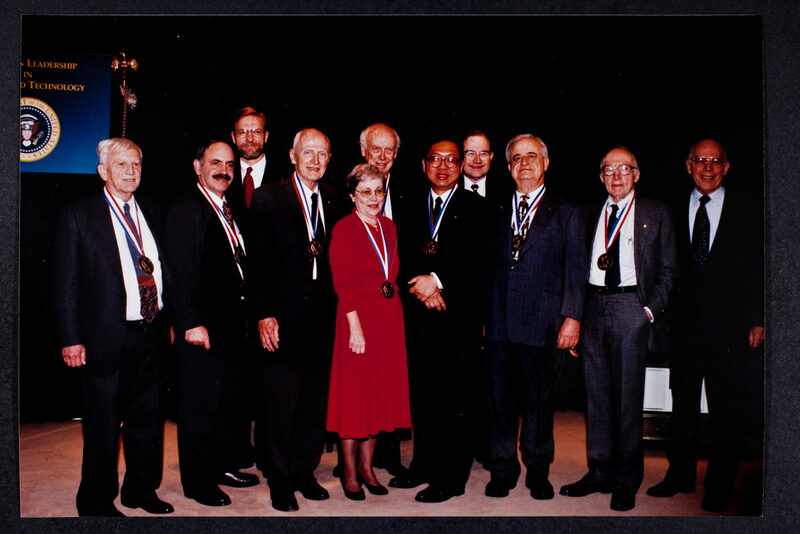 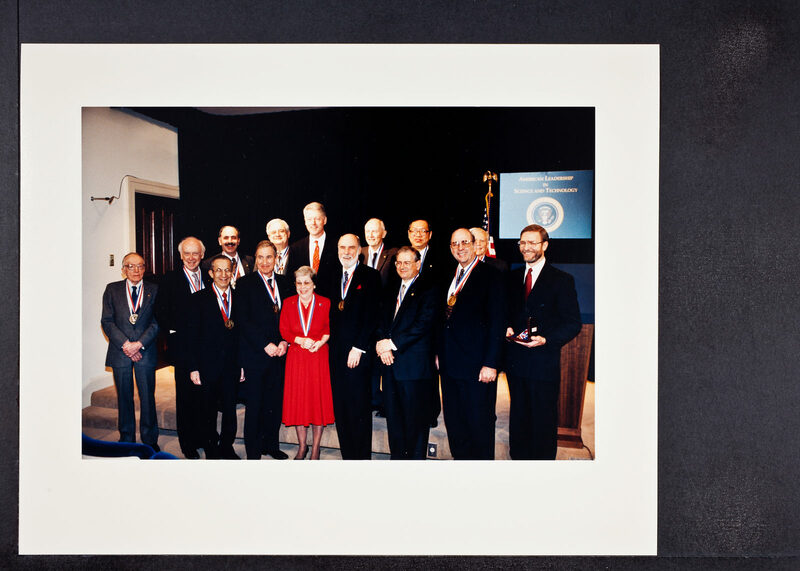 Group photographs of Medals winners, James D. Watson, Elizabeth L. Watson, Robert Weinberg, Amy Shulman Weinberg, Al Gore, Bill Clinton, Neal Lane, William Estes, George Wetherill, Marhsall Rosenbluth, Darleane Hoffman, Shing-Tung Yau, and Harold Johnston. 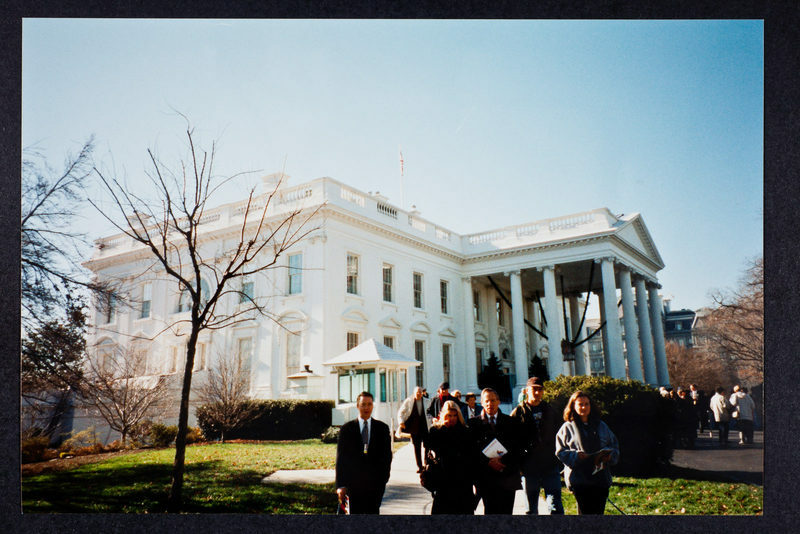 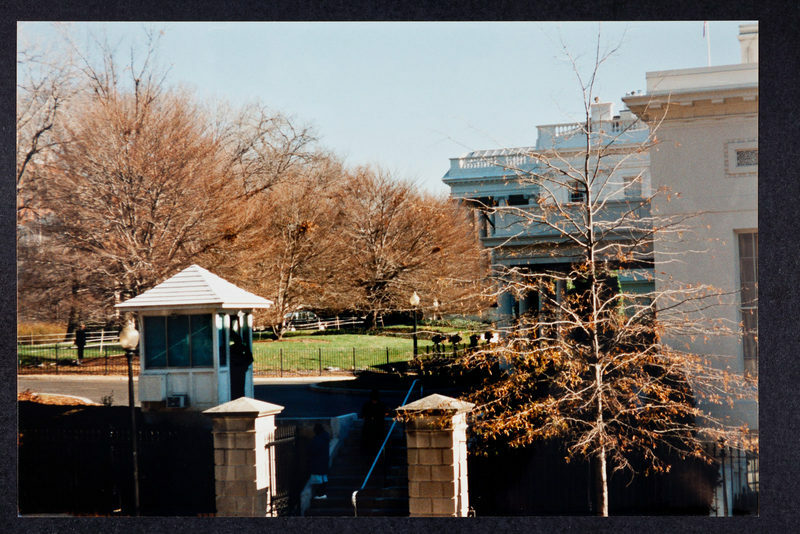 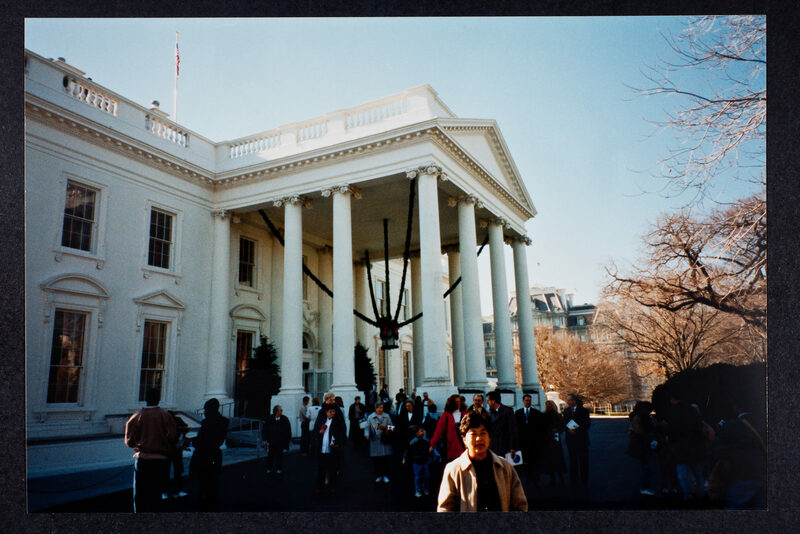 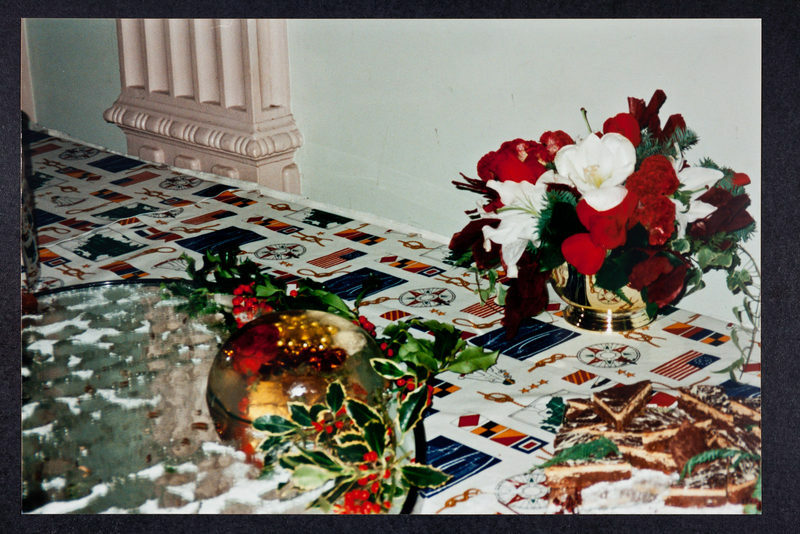 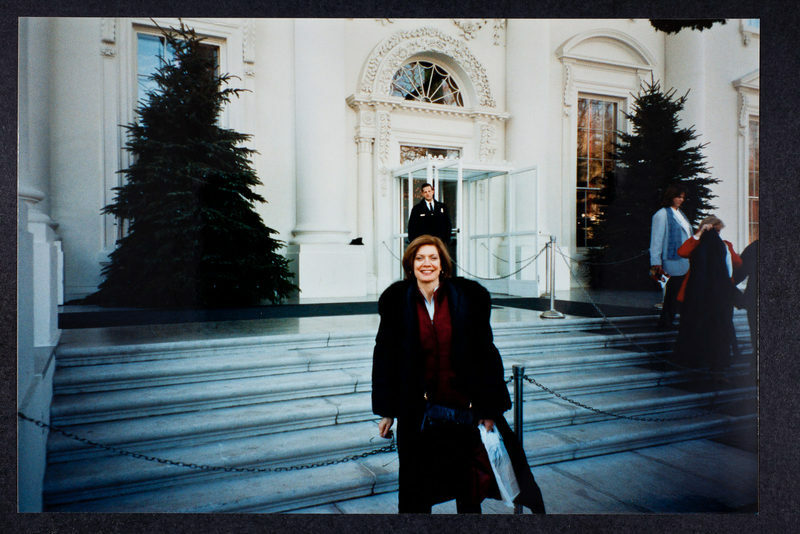 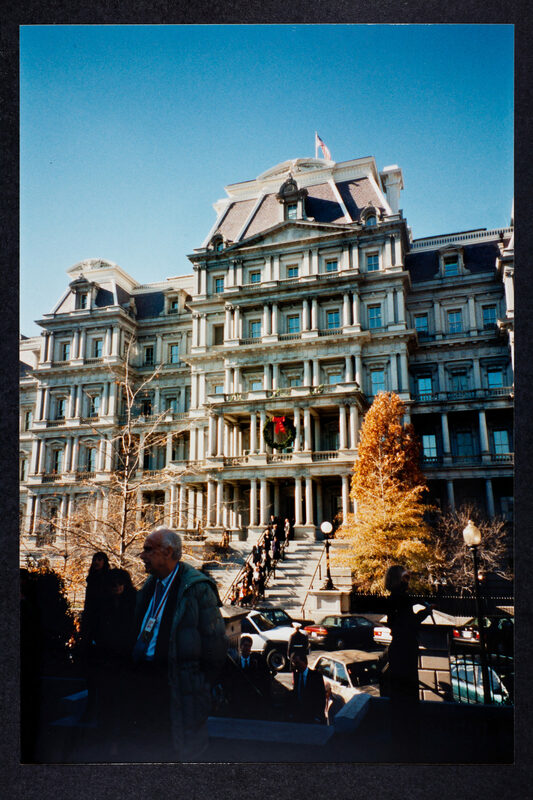 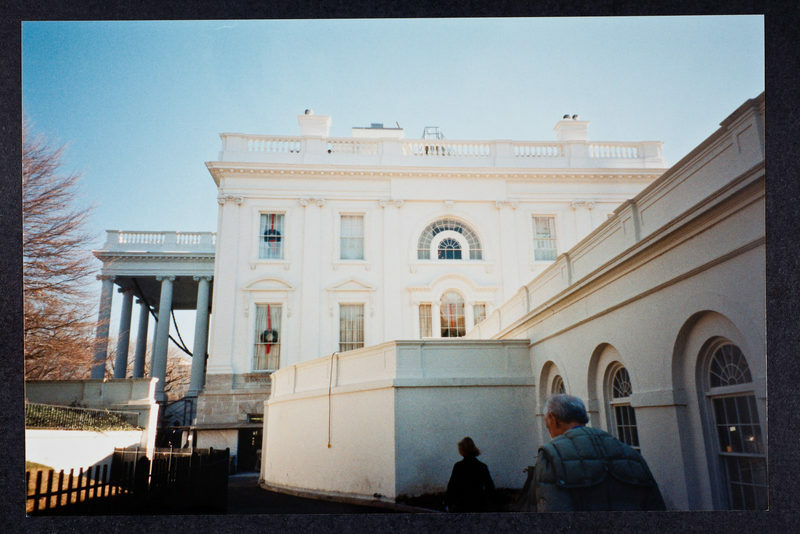 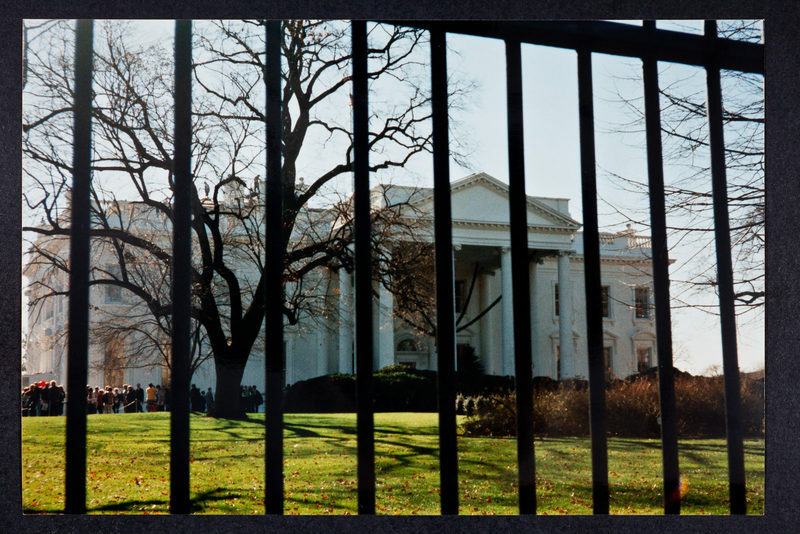 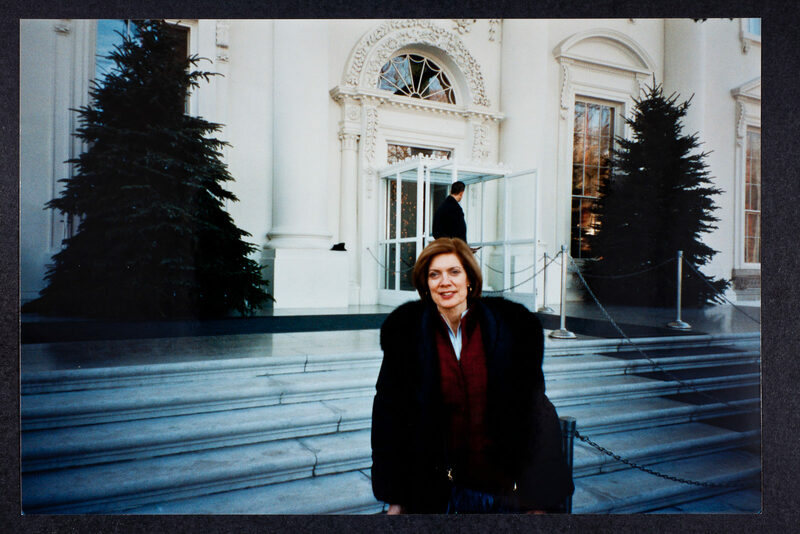 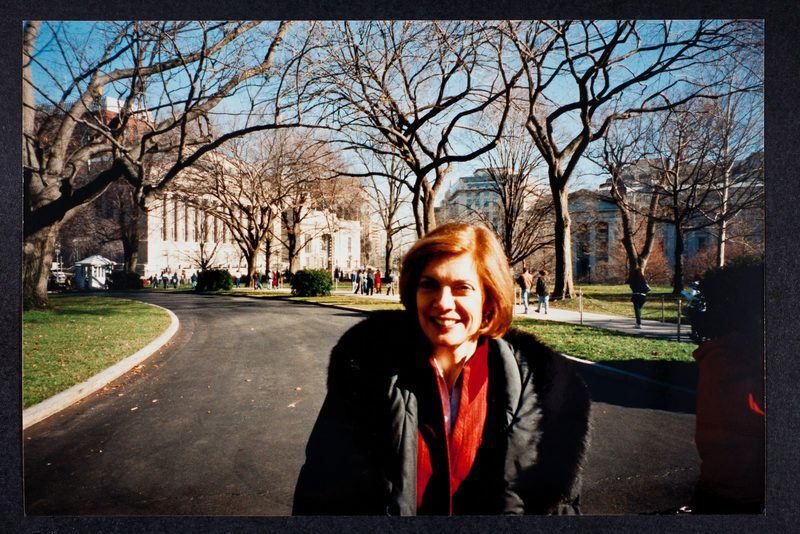 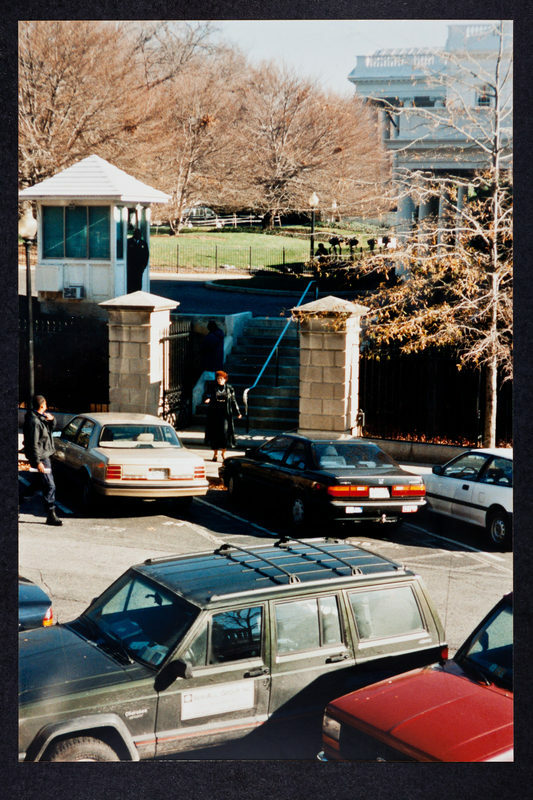 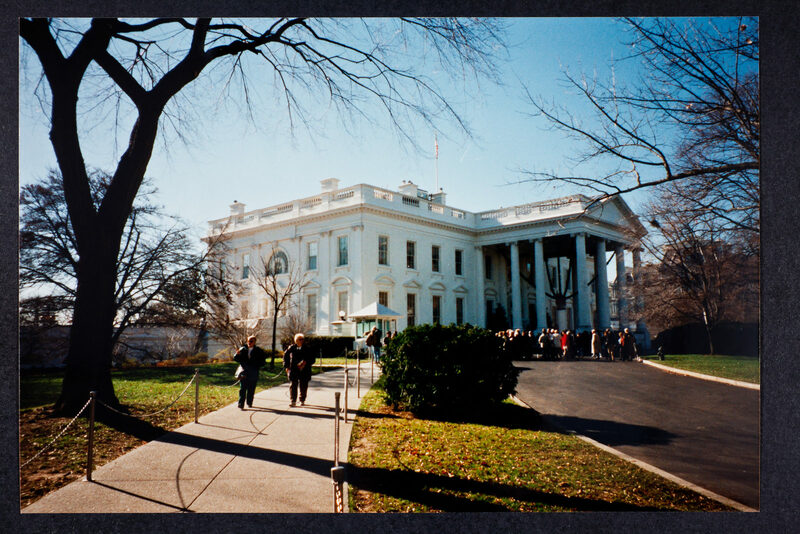 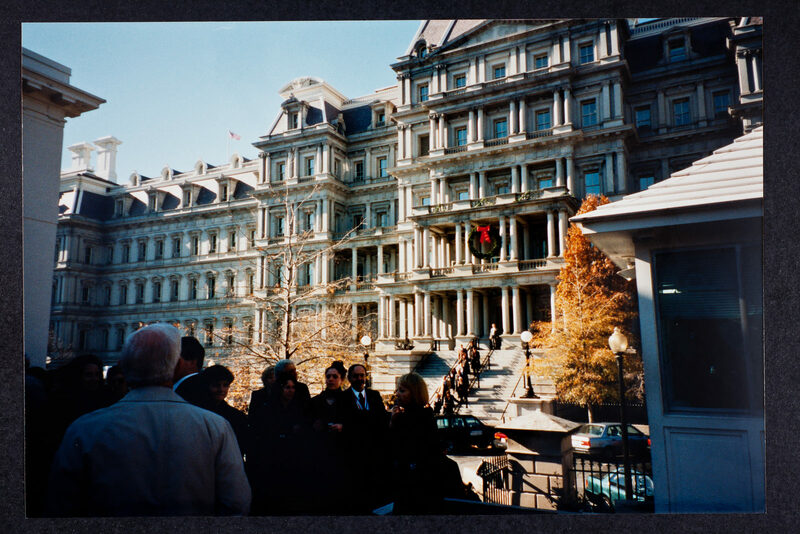 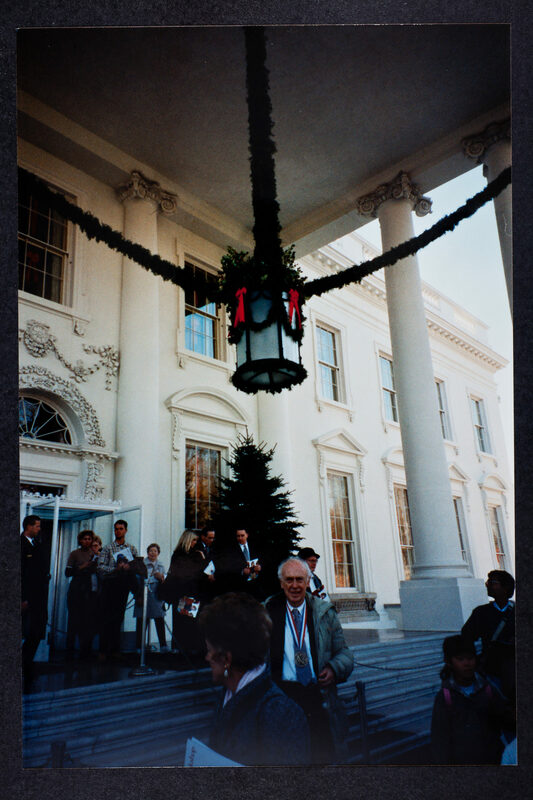 Also included are photographs of the White House. 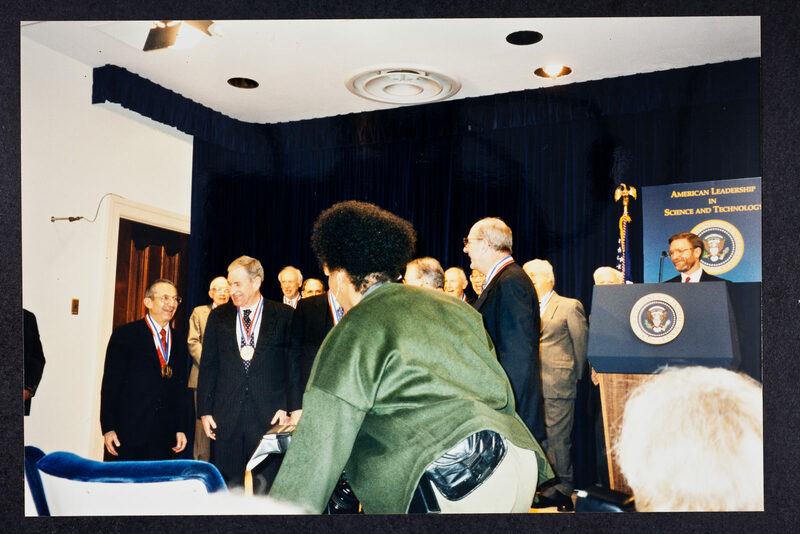 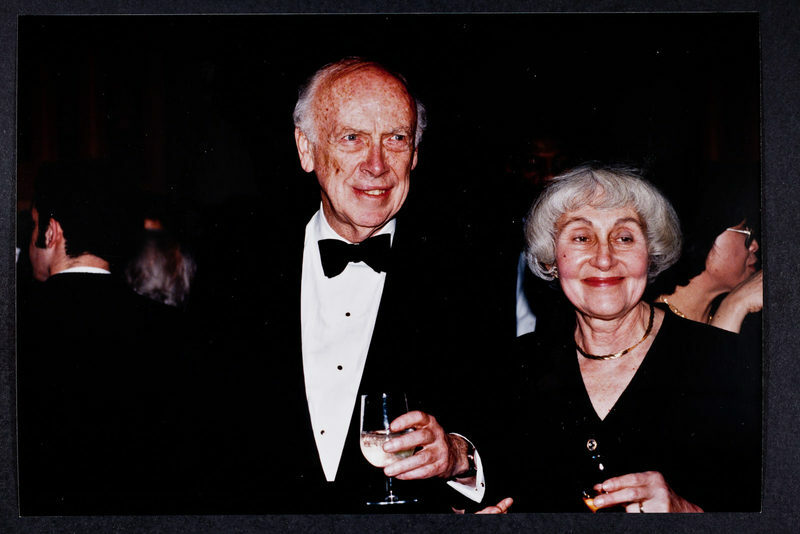 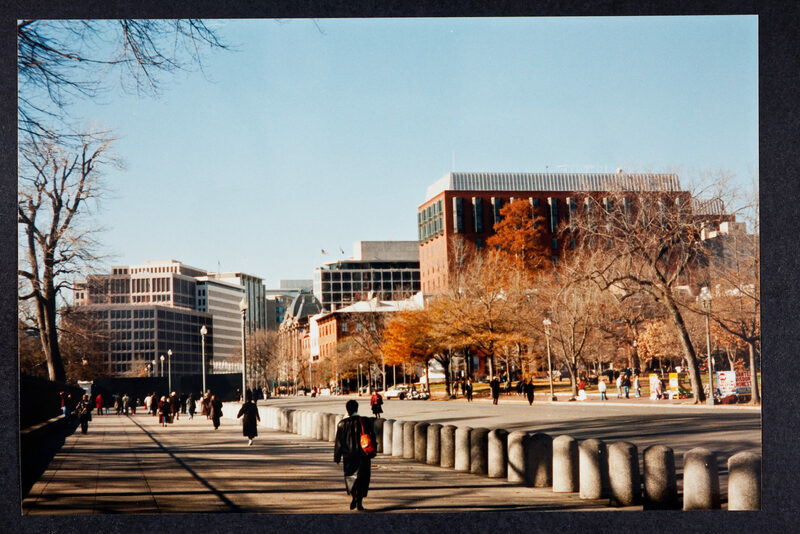 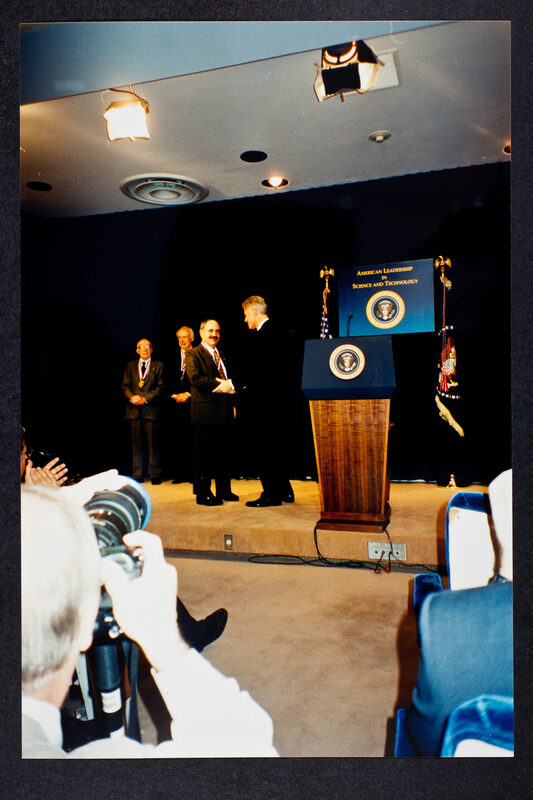 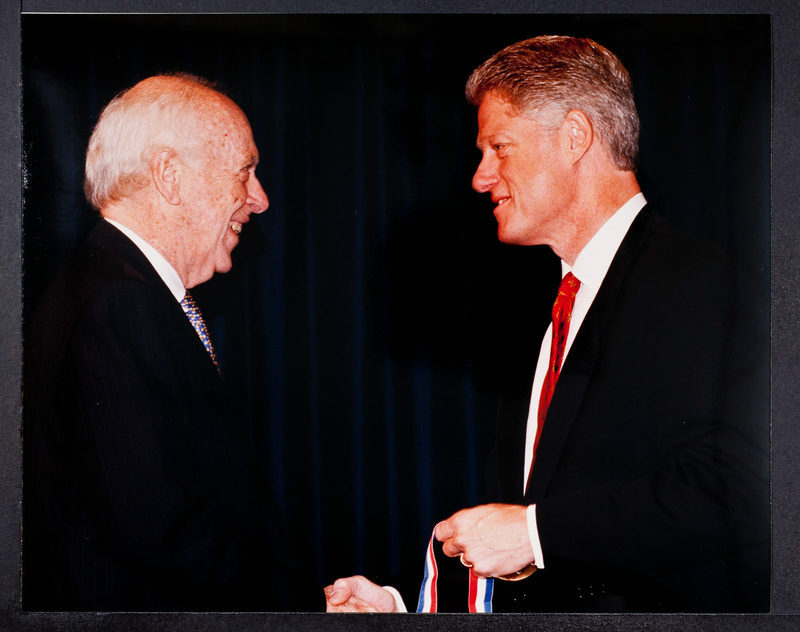 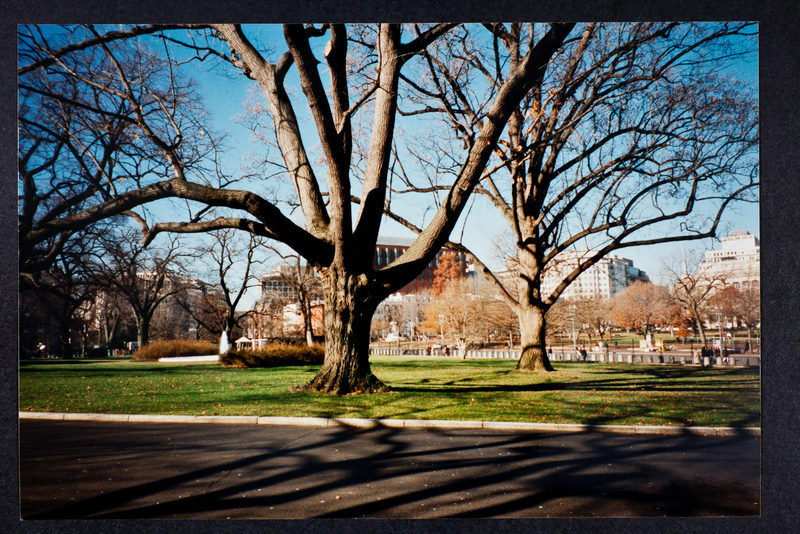 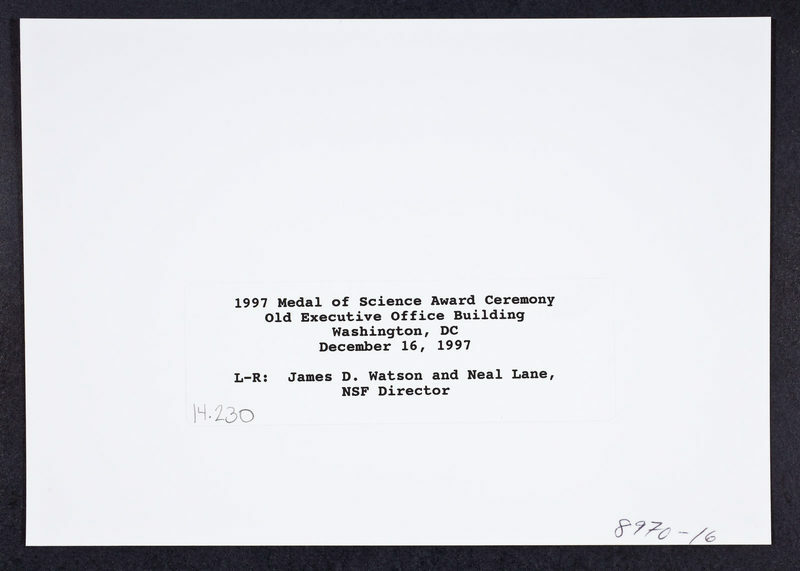 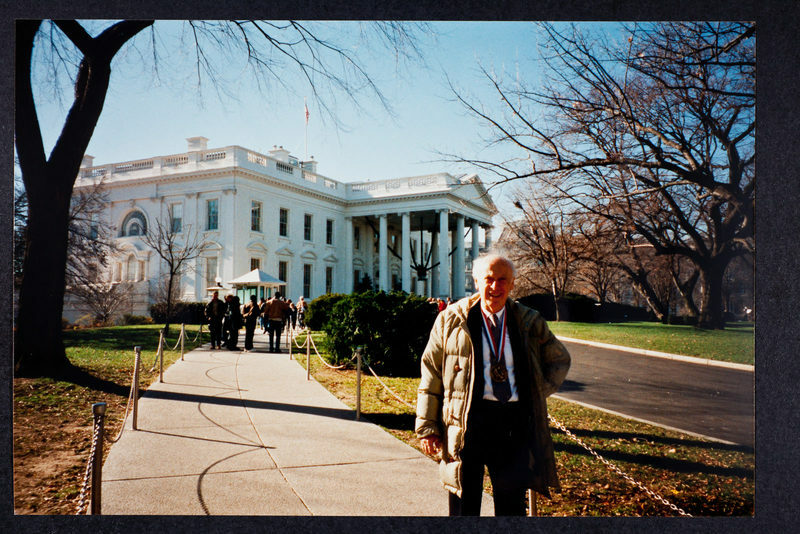 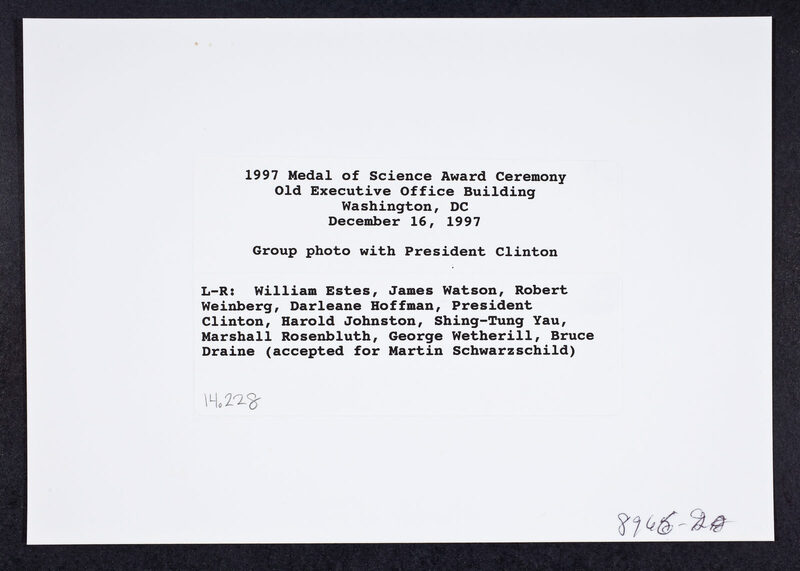 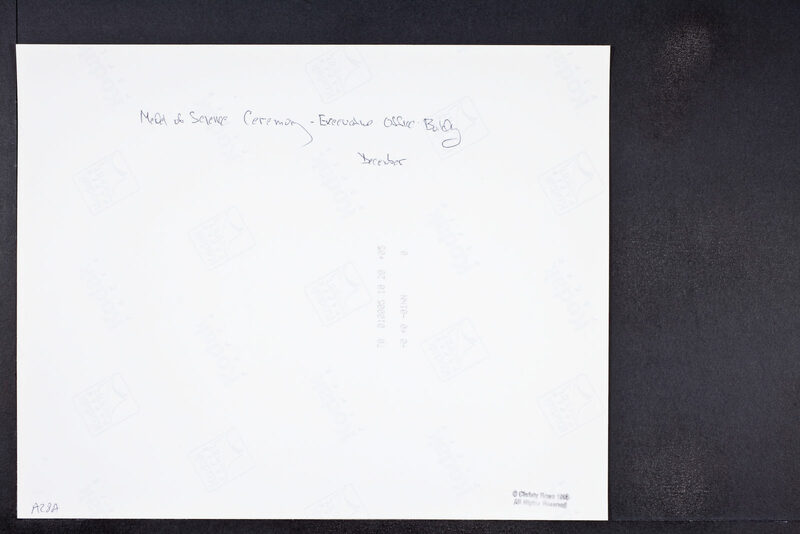 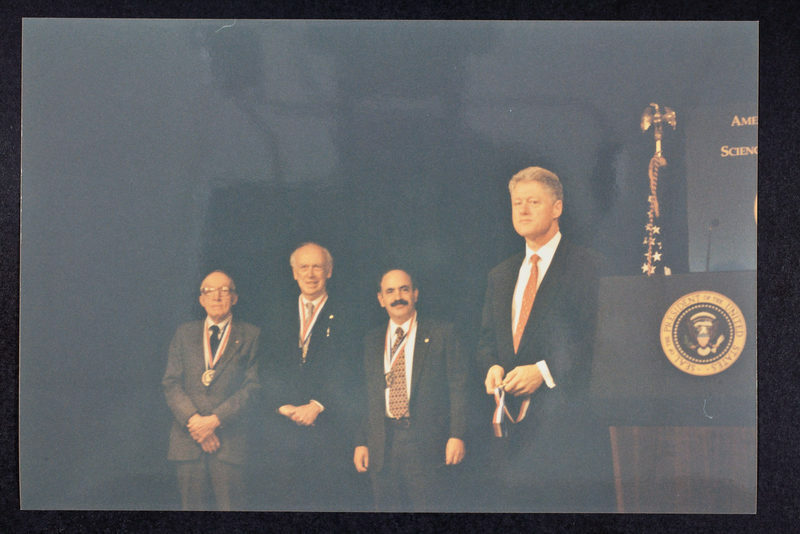 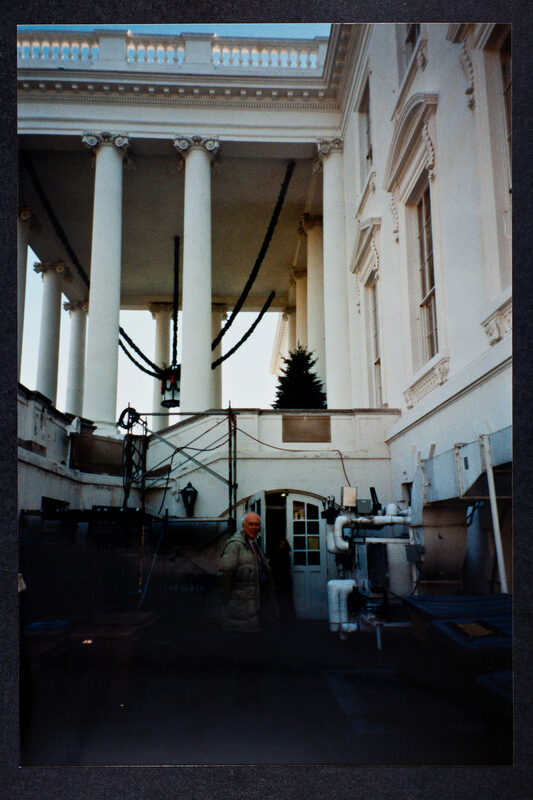 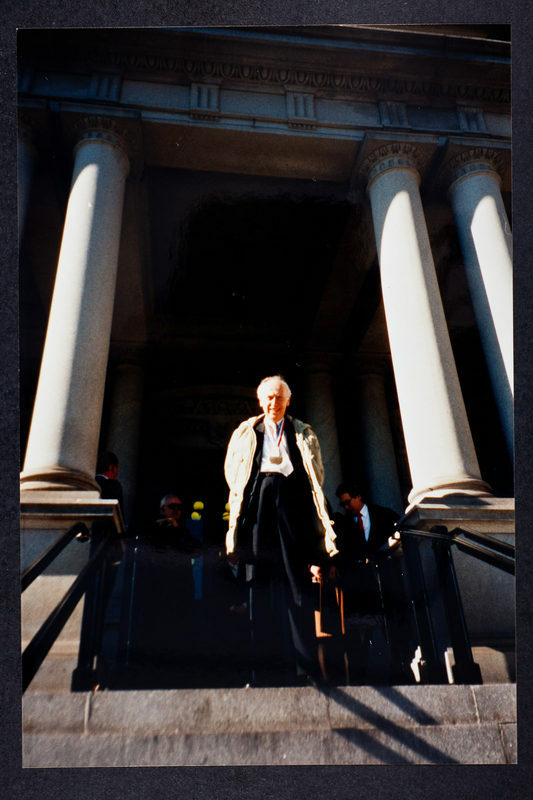 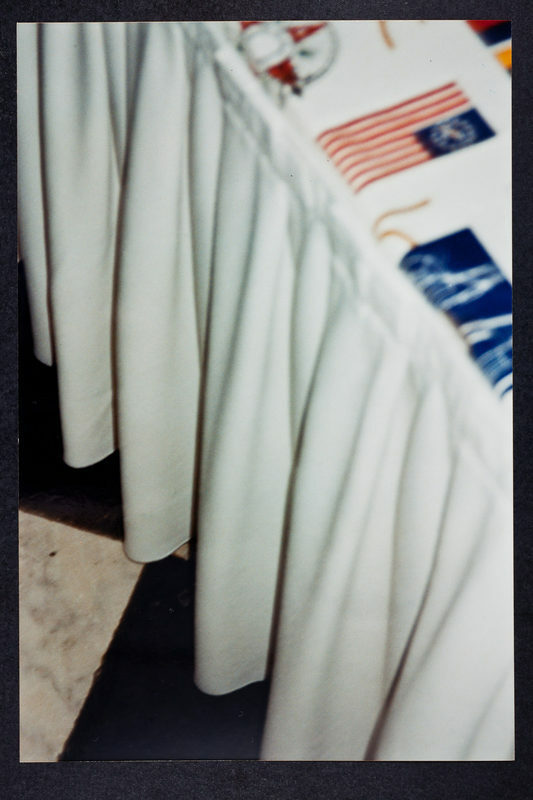 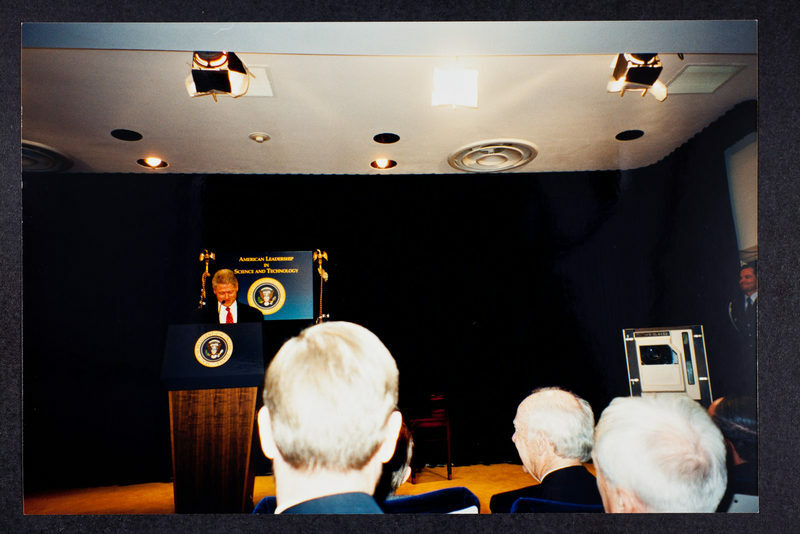 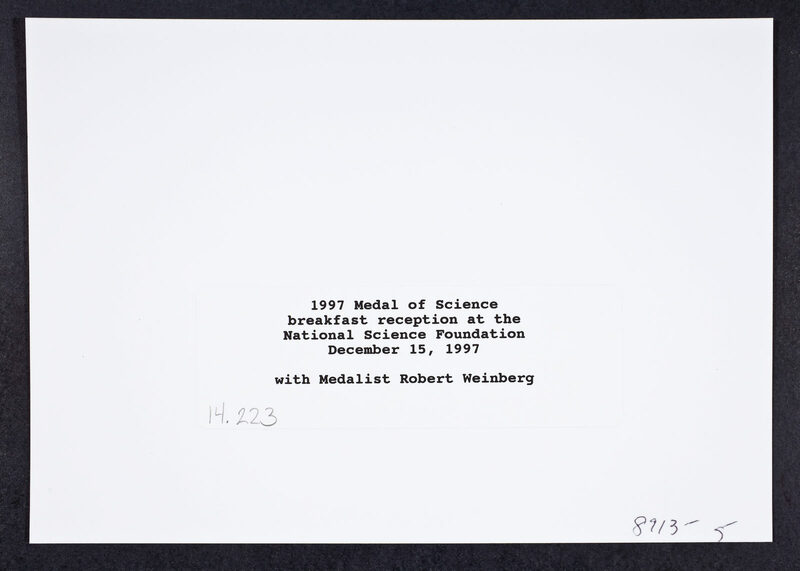 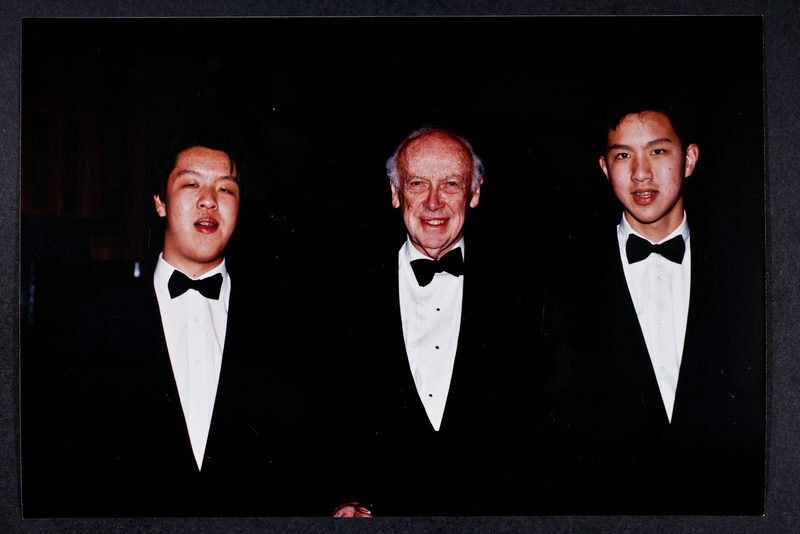 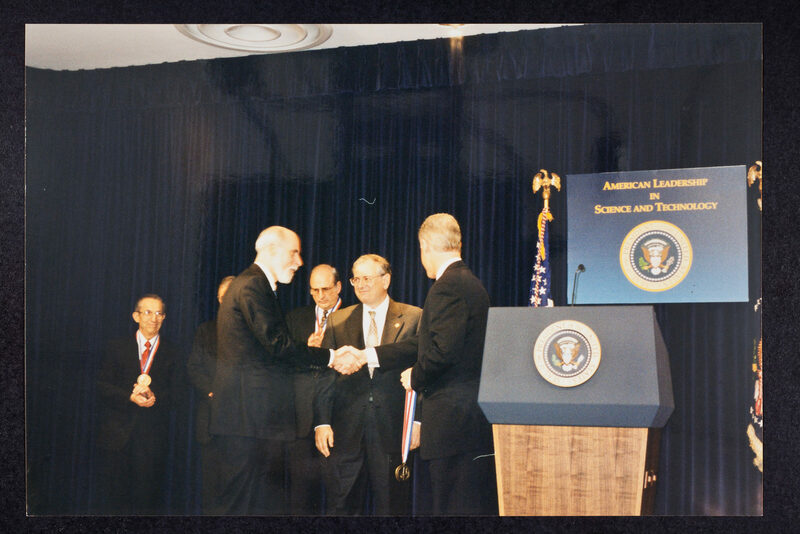 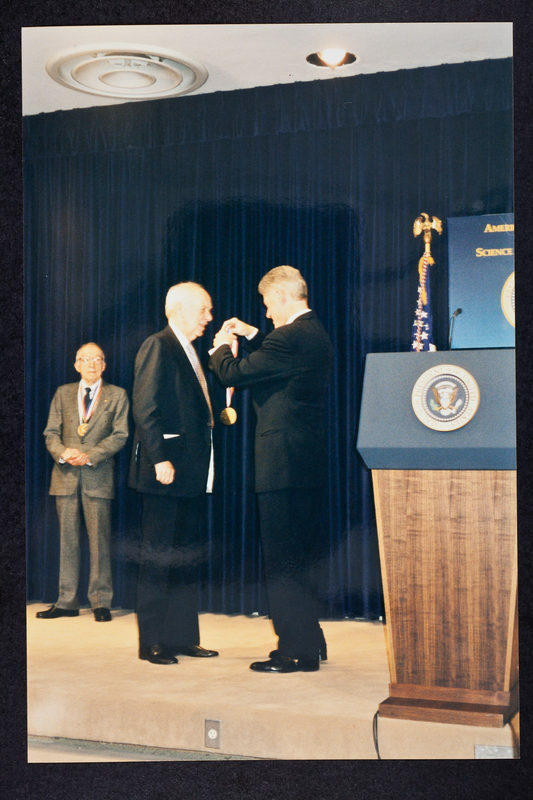 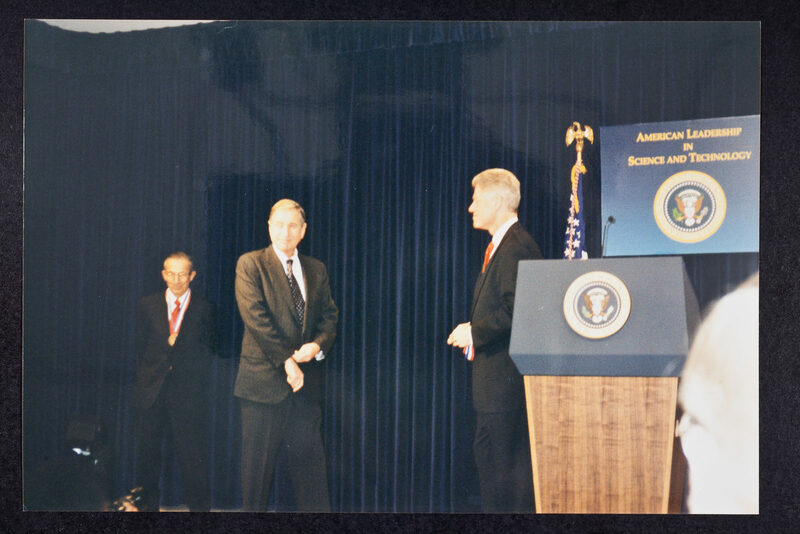 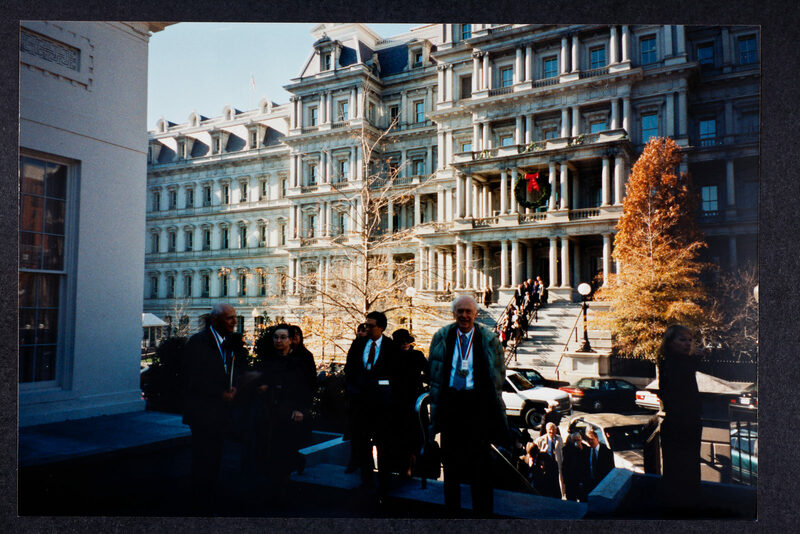 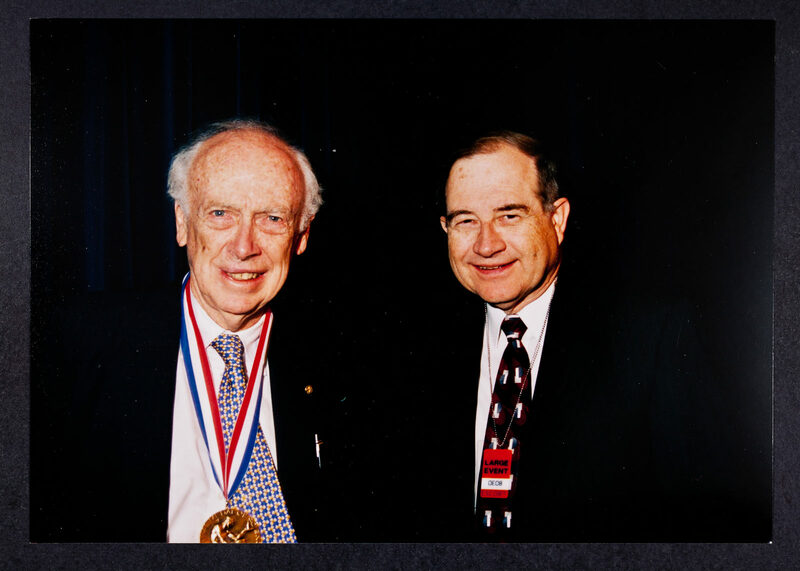 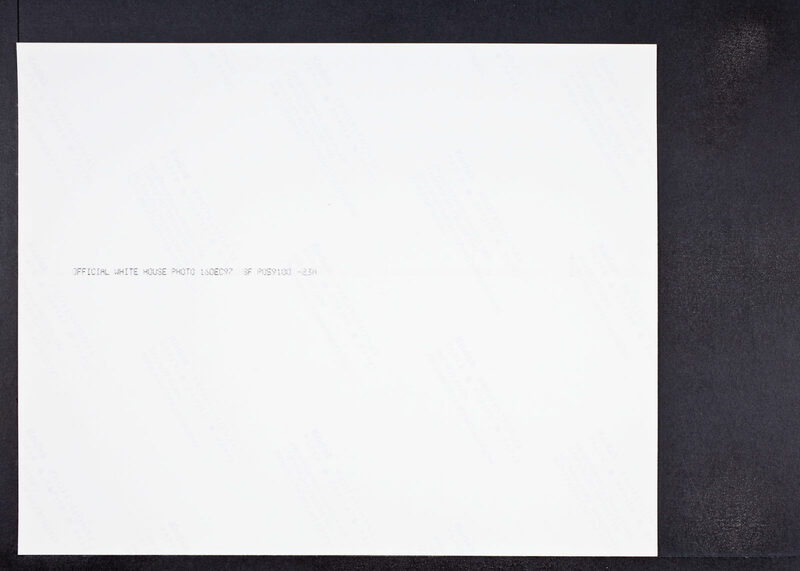 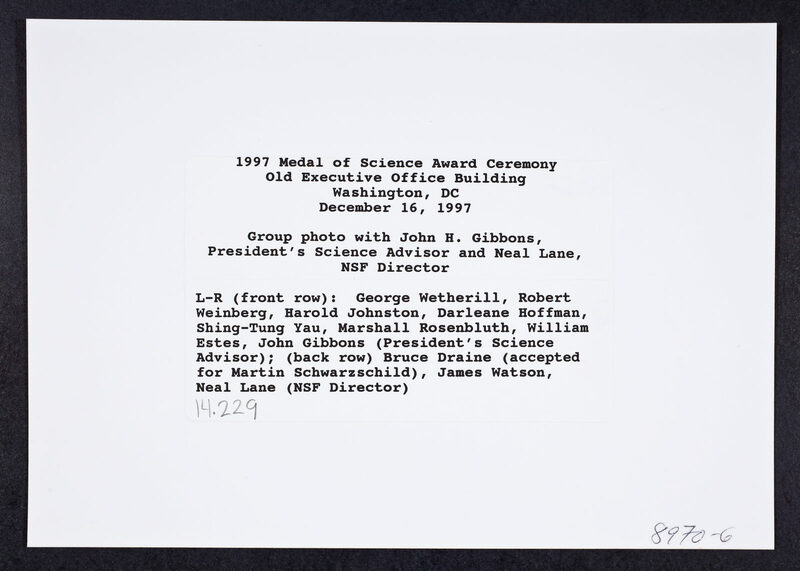 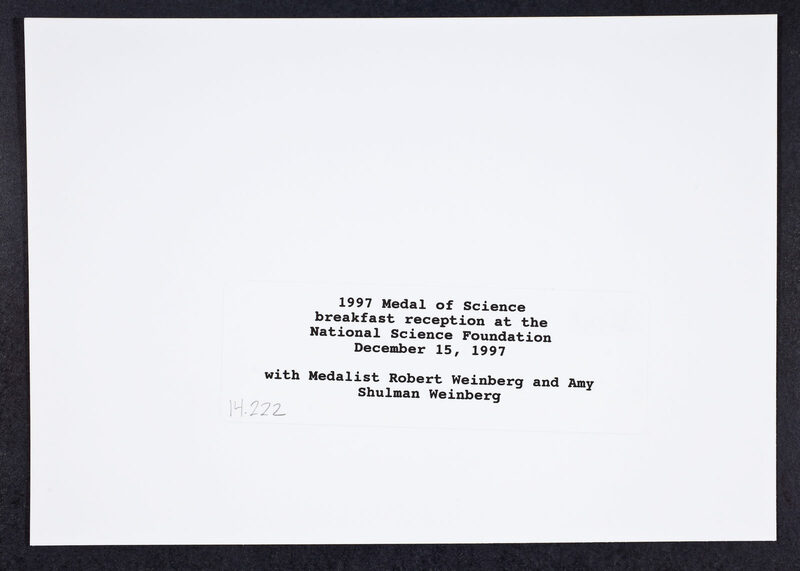 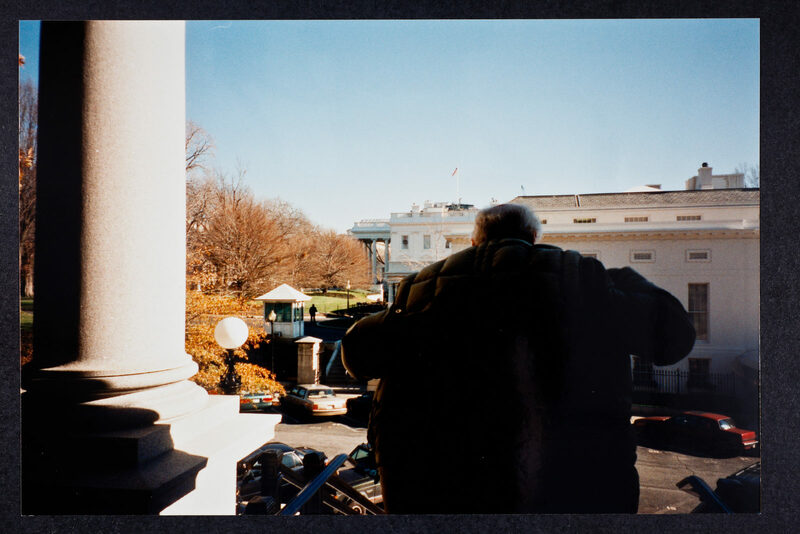 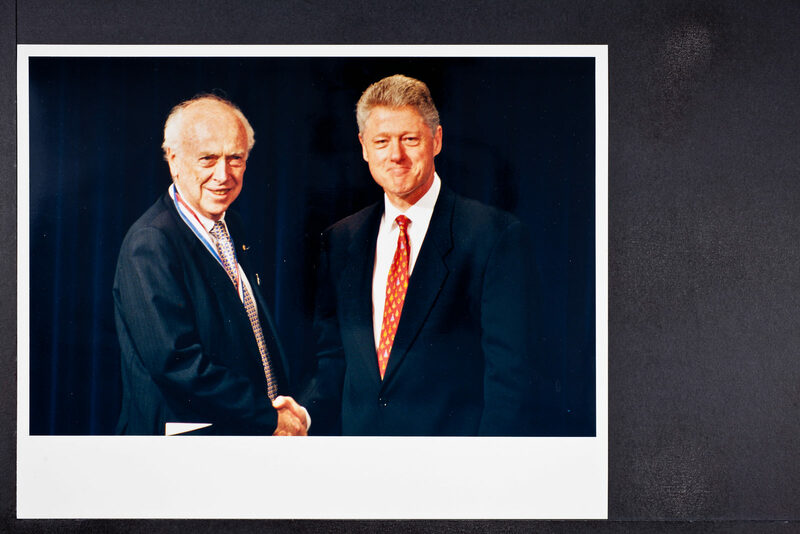 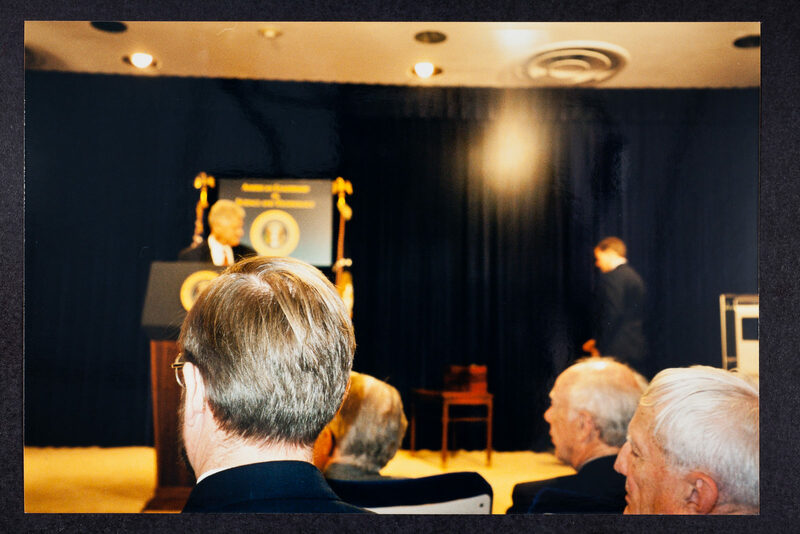 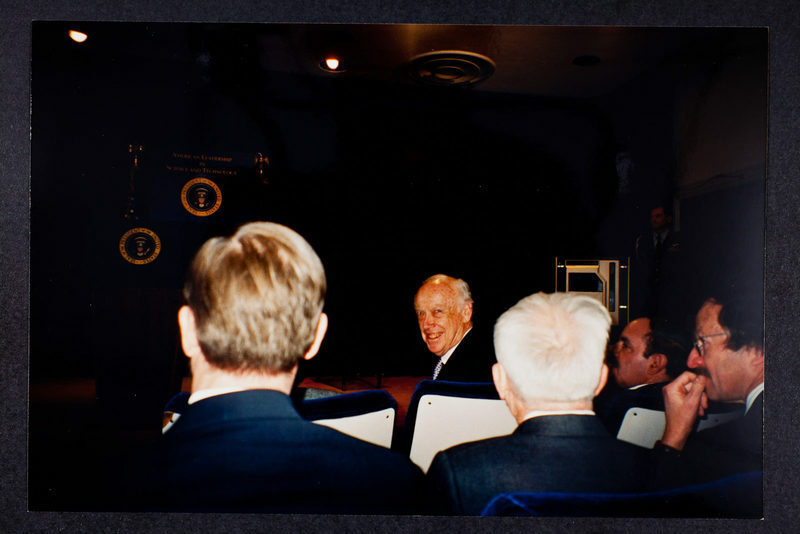 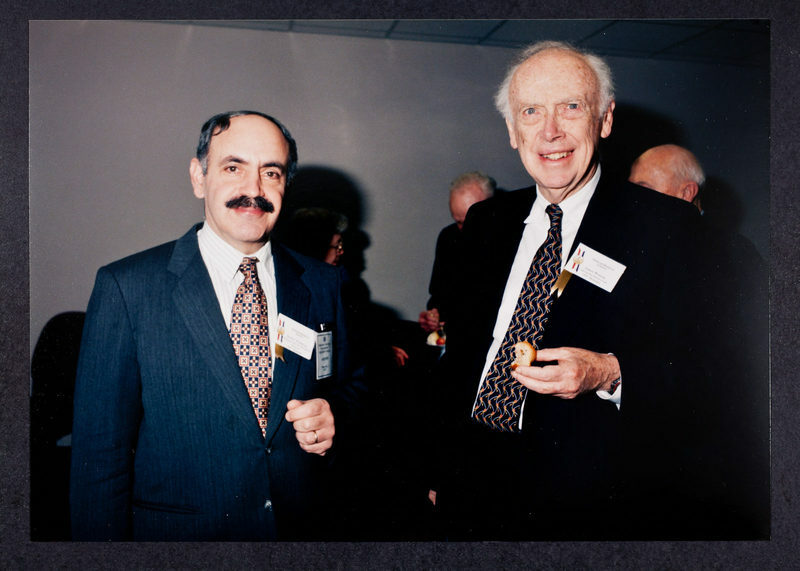 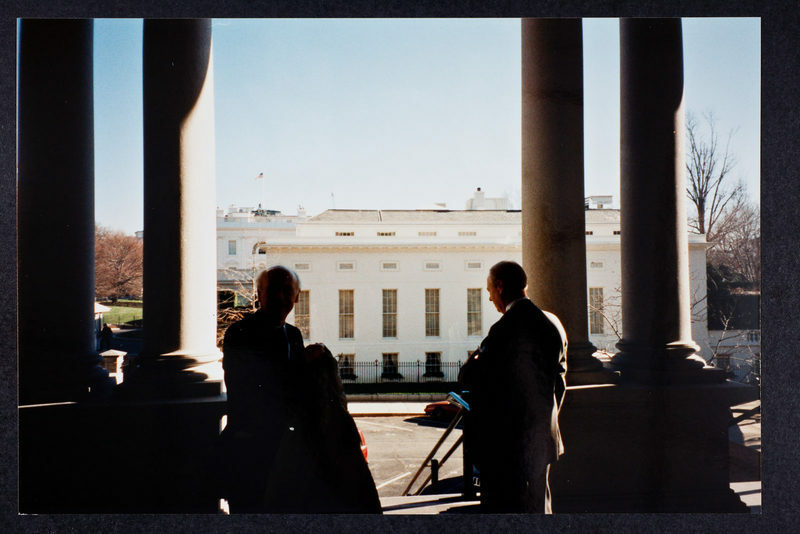 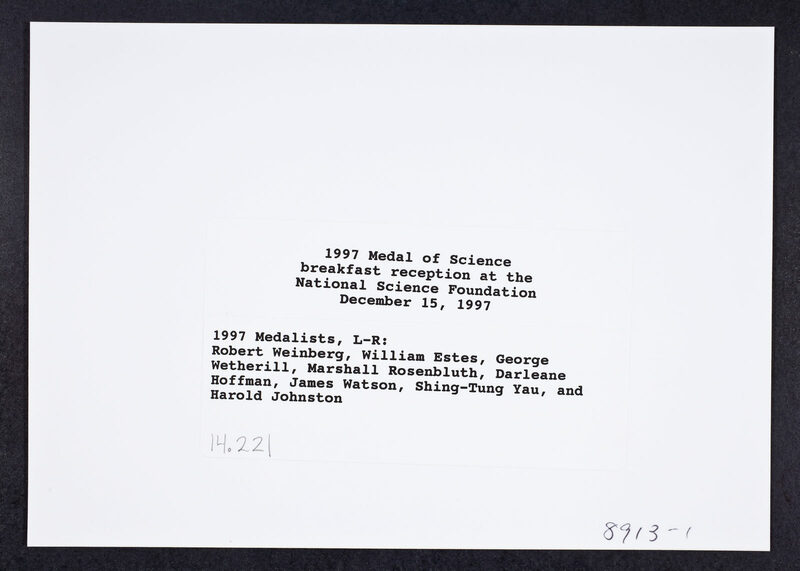 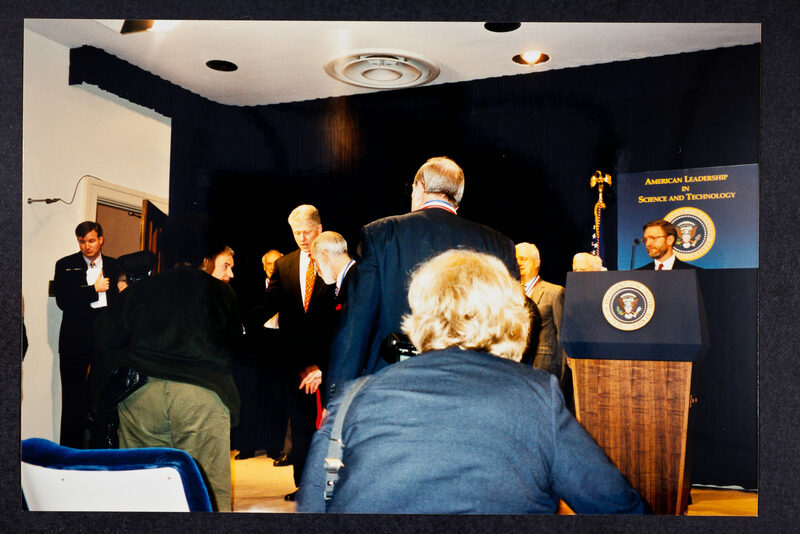 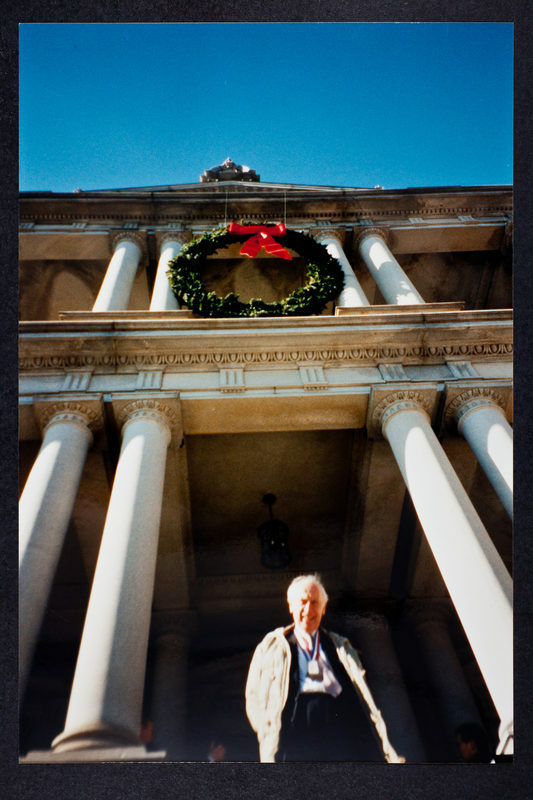 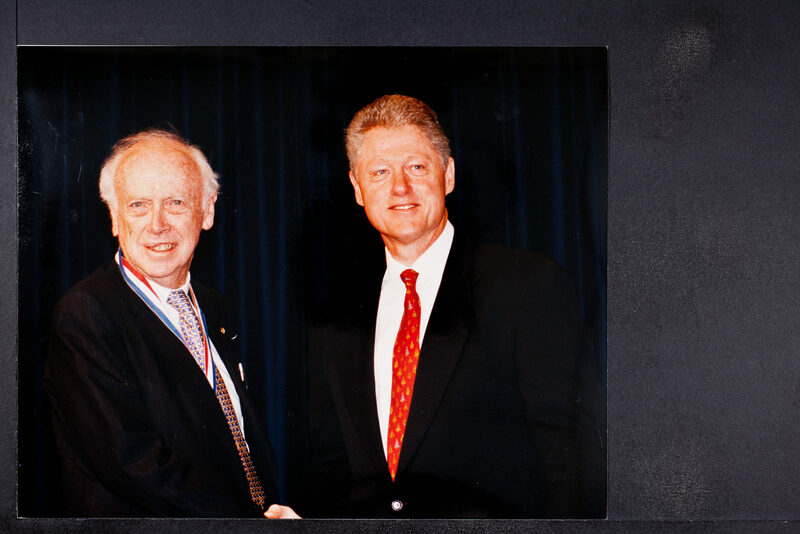 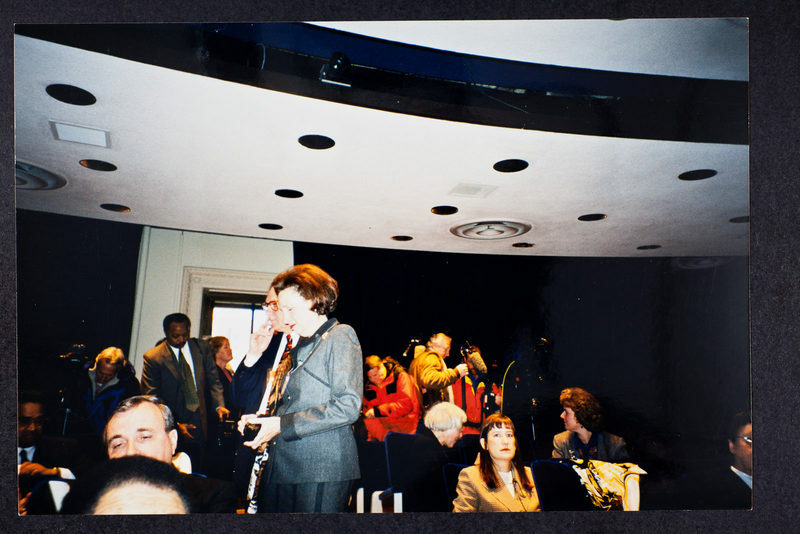 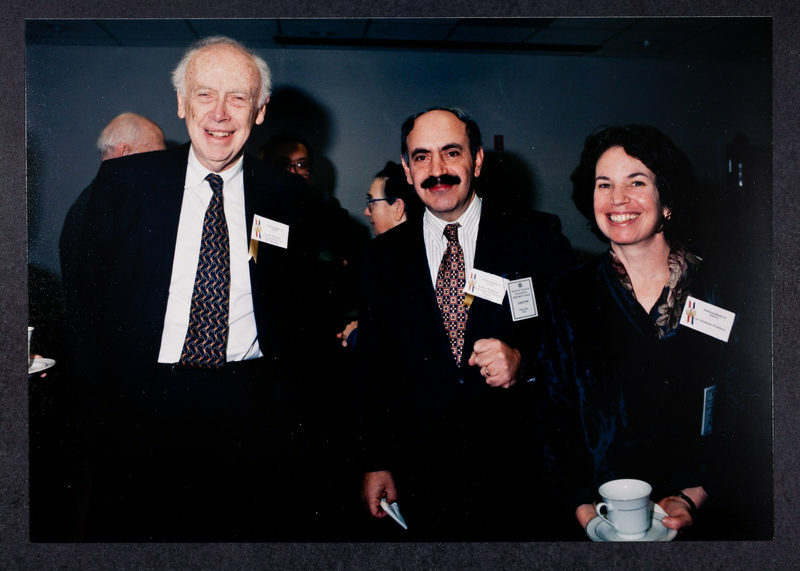 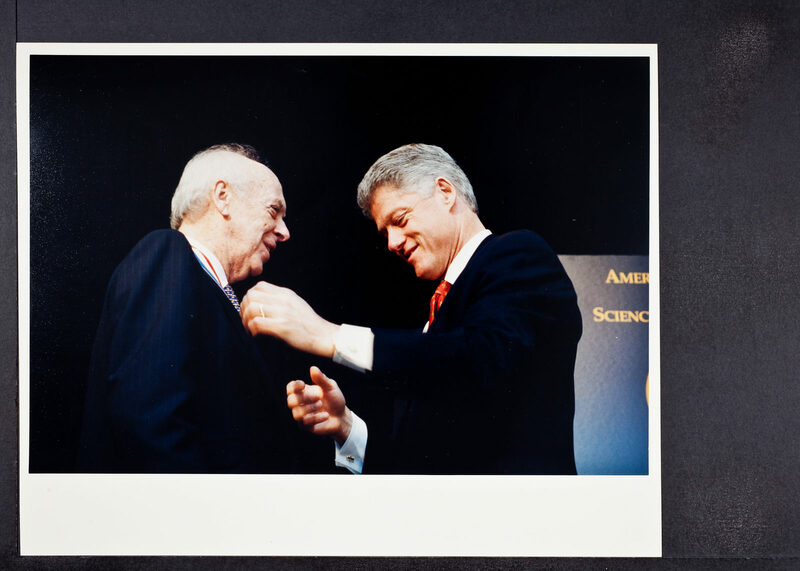 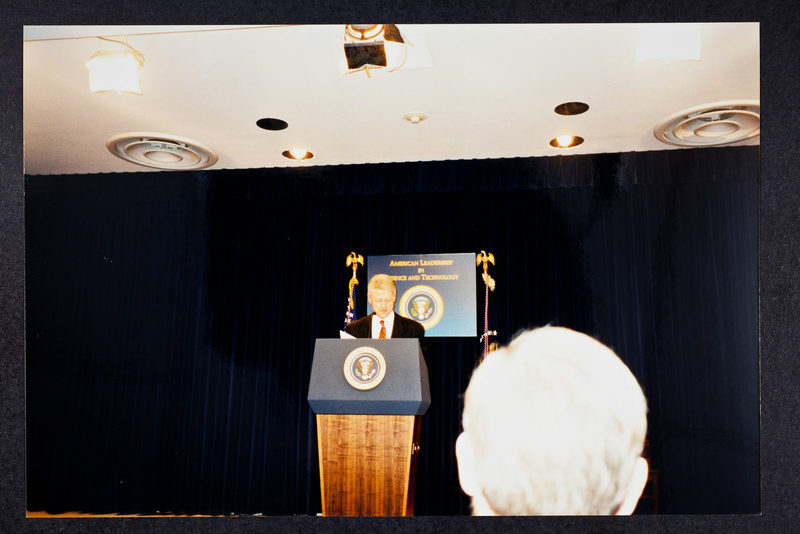 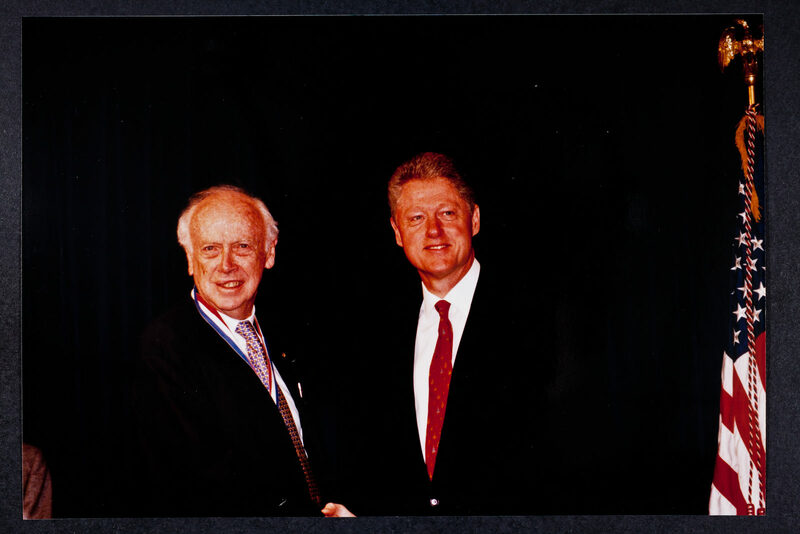 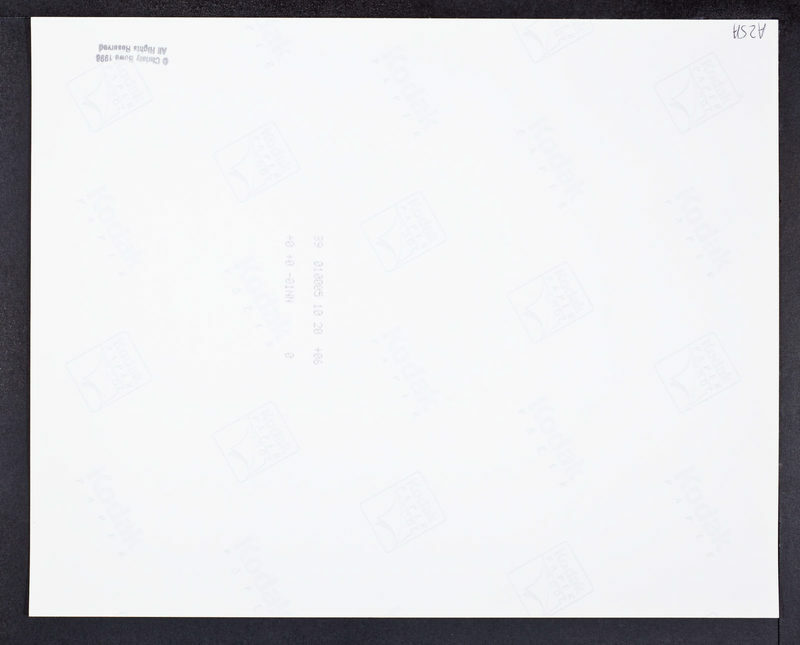 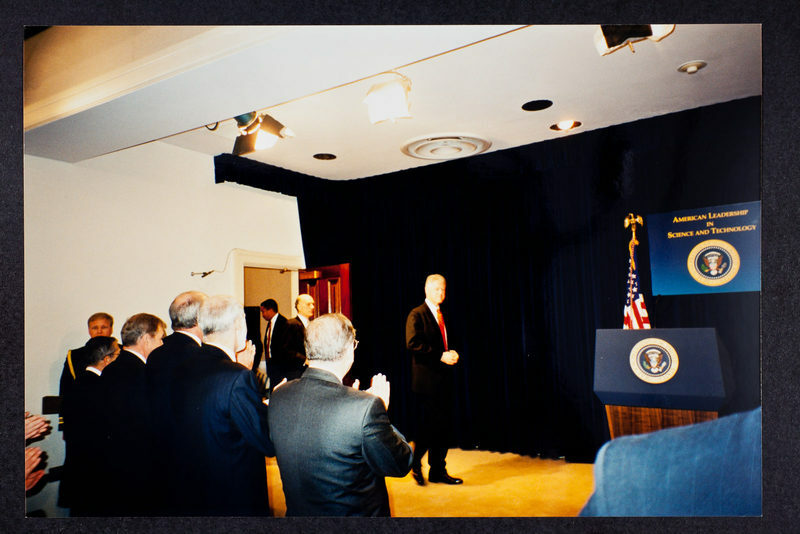 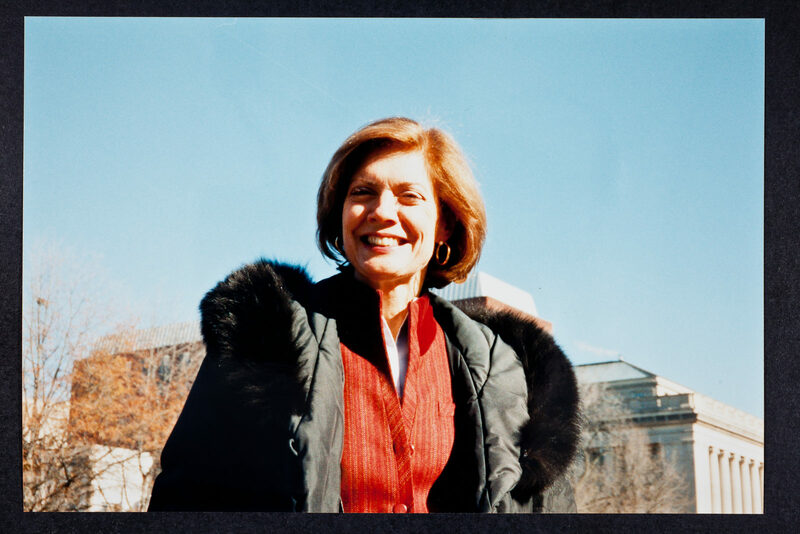 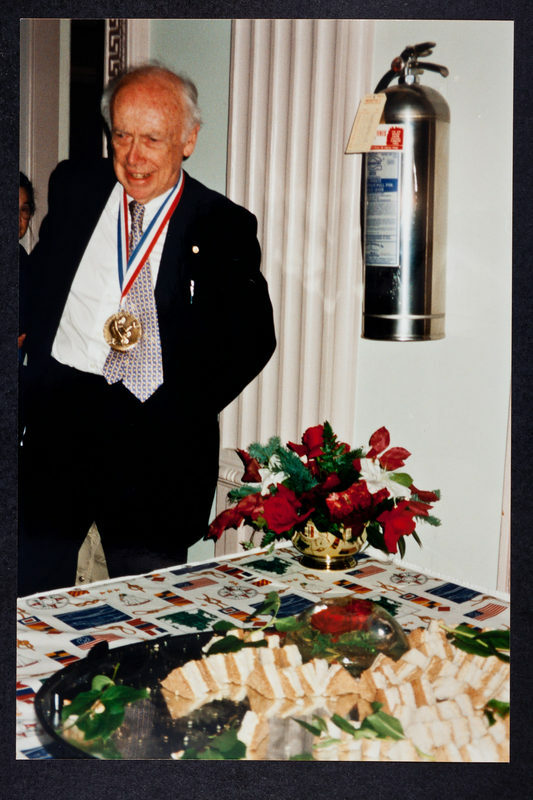 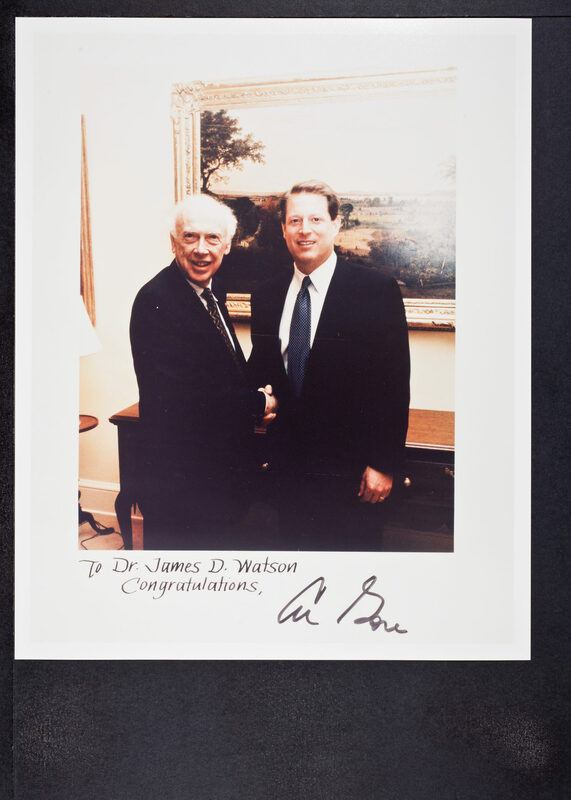 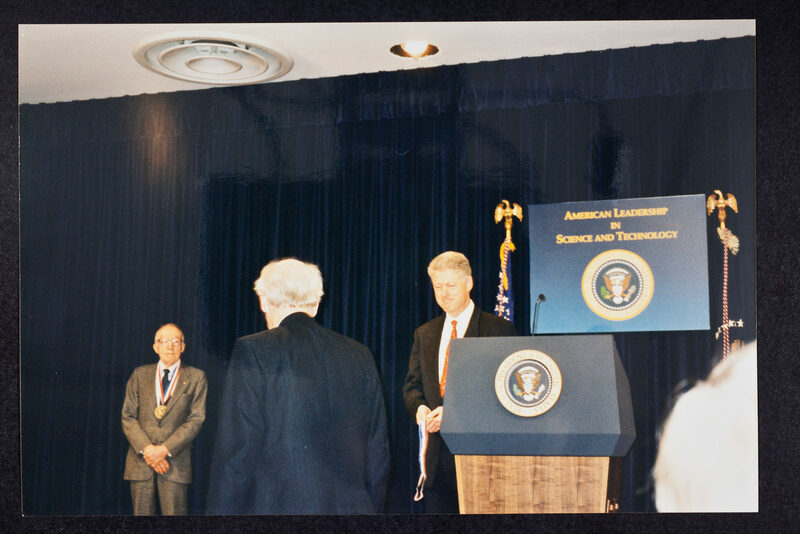 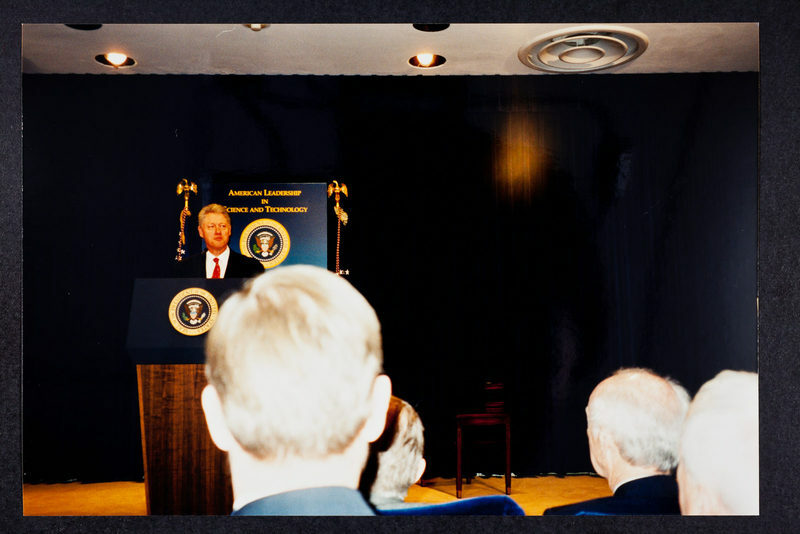 “1997 National Medal of Science, Washington, D.C. (2 folders),” CSHL Archives Repository, Reference JDW/1/14/41, accessed April 25, 2019, http://libgallery.cshl.edu/items/show/51624.